There are several large events happening this weekend in South Florida. A #RaceForTheCure because more than 880,000 women live in our community and every year almost 1,500 of them are diagnosed with breast cancer. Of those diagnoses almost 500 are late stage, and unfortunately, we lose nearly 300 women in our community a year to this disease. Susan G. Komen® is ﬁghting every minute of every day to end breast cancer forever. And what I LOVE about the #RaceForTheCure is 75% of the money raised stays right here for prevention programs, education, even mammograms. The other 25% goes to breast cancer research. MORE: Find out the local celebrities scheduled to be at the race. It's the last weekend of the fair! This event is produced by the same folks who do the "Feast of Little Italy" each November in Jupiter. This is the quintessential Italian Fest with all the food, culture, rides and limoncello one would expect! You can hear Salvatore "The Voice" Valentinetti from America's Got Talent on Saturday Night. 8 p.m.- Tommy Mara "Rocking Through the Decades"
4:30 p.m. - Franco Corso" The Voice of Romance"
6 p.m. - The Atlantic City Boys " A Tribute to Frankie Valli"
Experience the ever-growing world of craft brewing. 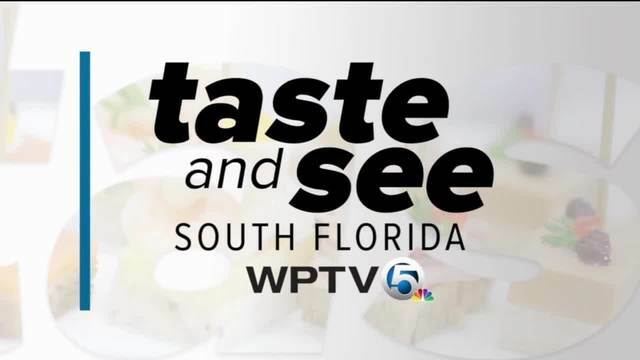 Guests will sample and savor brews from some of South Florida's finest breweries. What's cool is you get unlimited samplings while experiencing local entertainment. Saturday, January 27 from 1 p.m. - 5 p.m. The 9th annual Hot Works Boca Raton Fine Arts Show showcases top-notch quality artists from around the globe to sell their original and personally handmade artwork. There is something for everyone in all price ranges. Saturday, January 27 and Sunday, January 28 from 10 a.m. to 5 p.m.